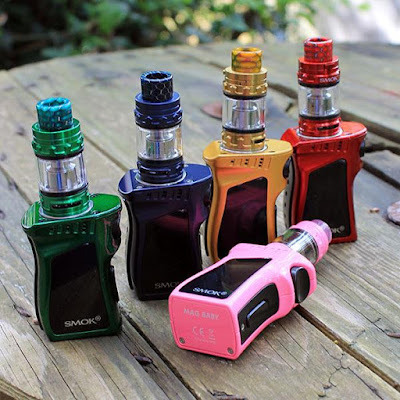 In 2018 SMOK introduced a lot of feature-rich e-cigarettes. For every vapor chaser, this brand is very familiar to everyone. So what I want to share with you today is a Starter Kit from SMOK, Mag Baby E-cigarette Kit. Will it bring any new surprises? What is Mag Baby E-cigarette Kit? Mag Baby uses a 1600mAh internal battery for energy to bring an ultra-portable size. We can easily take it in our hands and take it wherever we want. It comes with two adjustment buttons that allow us to adjust our desired output power. 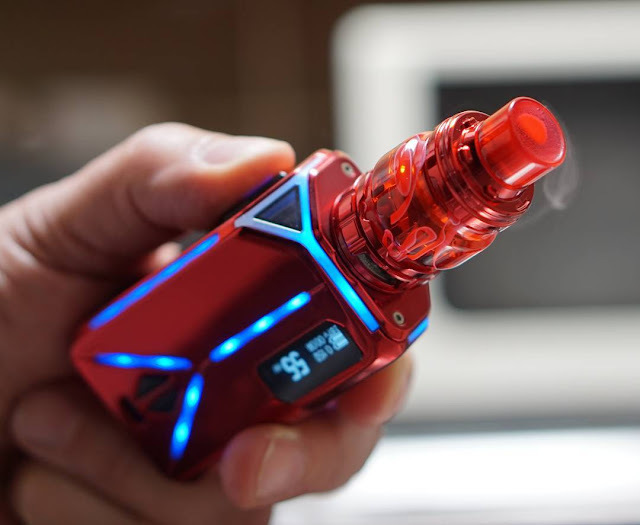 Of course, it has a maximum output of 50W, it can well meet beginner's vaping requirements. The TFV12 Baby Prince tank is the best gift that SMOK can give to beginner. It not only has an extraordinary taste but also brings a tremendous vapor. If you are interested in vapor performances, this product can lead you into vapor world. Now that Cloumix is doing special promotions, I think this will be the best time to buy! Lexicon with ELLO Duro Kit is a new product launched by Eleaf. The biggest highlight of this product is the design of the product. There are different shapes of LED lights around the fuselage, even if the fire button is the same. Lexicon with ELLO Duro is not only very popular in appearance, it's the same experience that we can use. Before you buy, we need to know the Lexicon with ELLO Duro Details first. Lexicon with ELLO Duro has a maximum output of 235W and can accommodate two 18650 batteries. It comes with an ELLO Duro Atomizer with a simpler refill system that simply pushes on the top cup to see the fill port. This product contains a HW-N 0.2ohm Head, and HW-M 0.15ohm Head. We can freely control the output we want through two adjustment buttons. ELLO Duro has 6.5ml and 2ml capacity options. If you like RDA Vaping, Lexicon can also meet your needs. It can be used with 0.05Ω-3.0Ωcoil, so you have more fun. So this is Lexicon with ELLO Duro. What do you think?